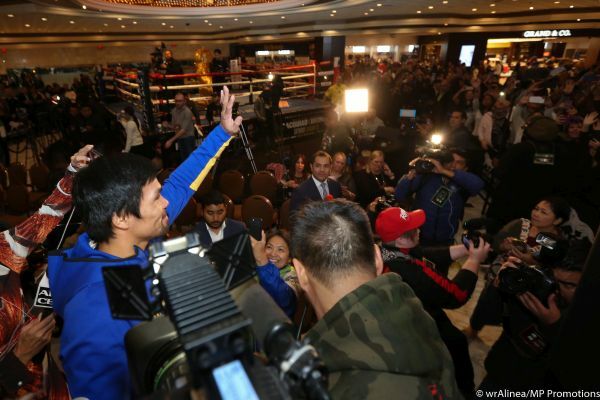 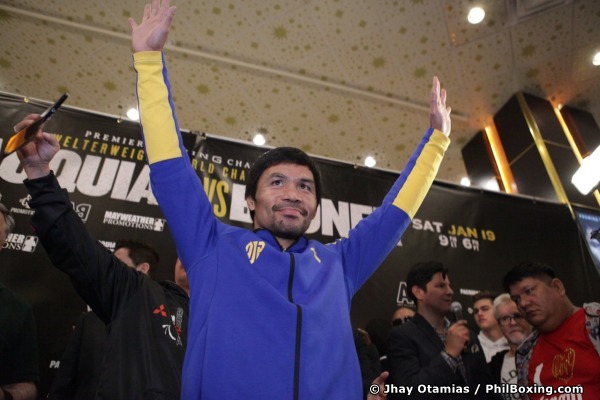 LAS VEGAS -- Filipino boxing legend and WBA welterweight champion Manny Pacquiao and his American challenger Adrien Broner made their grand arrivals Tuesday afternoon (Wednesday morning in Manila) at the MGM Grand Las Vegas Hotel & Casino in front of their adoring fans who filled up hotel's lobby. 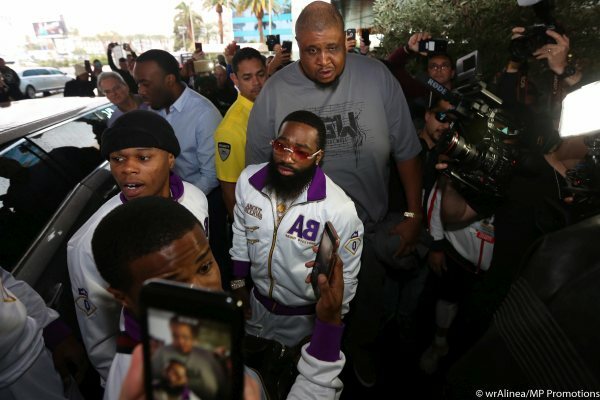 Broner, wearing a white and purple sweatshirt marked with his AB - About Billions logo, arrived the hotel first. 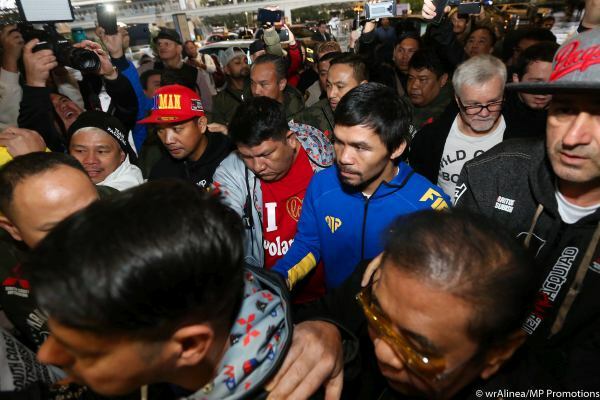 Pacquiao, wearing trademark blue sweatshirt with a MP logo arrived a bit later. 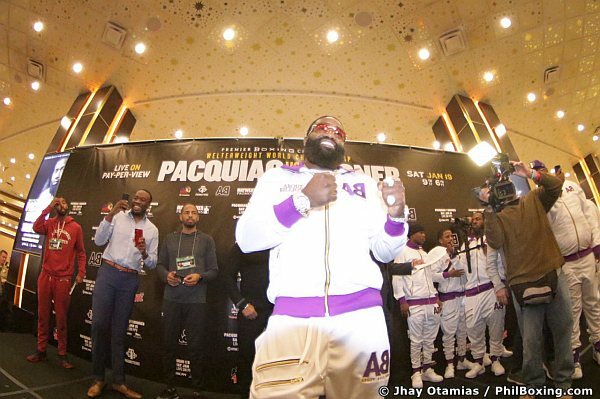 Pacquiao and Broner will have their final press conference tomorrow at noon at the David Copperfield Theater within the MGM Grand Complex. 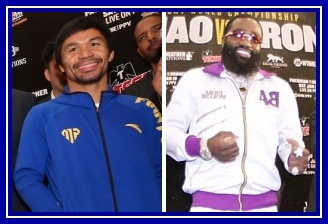 The official weighin is scheduled at noon on Friday at the Grand Garden Arena.